What to do after being injured in a car accident? If you have been injured in a Seattle area car accident, you can quickly become overwhelmed with paper work from your insurance company and the defendants insurance company. You may have a lot of questions such as: Who should repair your car? Who should pay for your medical bills? Whose claim number should you use to give to your chiropractor or physical therapist? Who should repair your car? Generally, you can go with the defendant’s insurance company to repair your car and you will generally be treated fairly. However, there are a couple conditions for this statement. If your car has minimal damage, you may want to consider having your own insurance company cover the damages to your car. The reason for this is because you do not want the other company to get the advantage of seeing your car when you can’t see their car’s damage, which may show much more than the damage to your car. Bumpers are solid and made to absorb impact but front ends of car are generally not as well protected, so your car may show little to no damage while their car shows a lot, which can be misleading showing a low impact. Low impact cases will limit the value of your case without a lawyer. Another reason, is if your car is fairly new with very little mileage on it. If your car has very little mileage and is less than one year old, you are entitled to a diminished value claim which can be worth a few thousand dollars. You will want to have an attorney representing you for this portion of your case if you have a new car. What claim number should you give your medical providers? You should never give the defendant’s claim number to your chiropractor, physical therapists, etc. This gives the defendant insurance company and early view of your case and may increase phone calls pressuring you to settle your case. Only give your PIP claim number or medical insurance information to your medical providers. Who should pay for your medical bills? The defendant’s insurance company will pay for your medical bills, eventually. However, they will not pay for your medical bills up front unless you are hit by a car as a pedestrian, bicyclist, or were riding passenger in a car that was at fault for a collision. You must wait until you are fully healed and then the defendant’s insurance will settle with you for medical bills, lost wages, and pain and suffering in one lump sum. They will never pay for you medical bills as you go and your bills will be sent to collections. Who pays your medical bills right now then? You have a couple of options to pay for your medical bills including your auto insurance policy persona injury protection plan, medical insurance, or pay them back on a lien basis out of the settlement. Personal injury protection is an auto insurance policy that you can elect to have or not. Generally, it is $10,000 but some people elect to pay a little more for higher limits. Personal injury protection will cover your medical bills and lost wages. You do not need to have a referral from a medical doctor to see a physical therapist, chiropractor, etc., when using PIP, although it may help with your overall case. Chiropractors can refer you to physical therapists, take x-rays, refer out for MRI’s, and refer you out to specialists. This is why starting with a chiropractor can be an excellent first stop to start your healing process after a car accident. Medical insurance can be used for your car accident injury case to pay for medical bills right now while you are waiting to settle your case. Medical insurance often covers large hospital bills and other doctors’ appointments. However, medical insurance is not taken by some chiropractors. Additionally, most insurance plans do not include massage therapy or acupuncture, two types of therapy that really help people injured in car accidents heal faster. Medical liens are a good option for those who do not have personal injury protection on their auto policy nor have medical insurance that is accepted by chiropractors, physical therapists, massage therapists, etc. Most medical providers will allow you to obtain medical treatment on a lien basis as long as you have an attorney representing you for your car accident injury case. The medical providers will want you and your attorney to sign a lien that guarantees payment out of the settlement. If you have any questions about your car accident injury case, please do not hesitate to reach out to me for a free consultation (206) 850-6716 or andrew@lawcherin.com. Hiring a personal injury lawyer does not mean filing a lawsuit but does mean maximizing the value of your case. Most cases do not need to go to trial but can be settled outside of court and usually within a couple months of you completing your treatment. If you fail to attend your medical treatment or are having gaps in your treatment, you are hurting your Seattle car accident injury case. Your case will be worth far less if you have large gaps in treatment or miss your medical appointments. Insurance companies and juries will believe that you are fully healed if you stop going to your medical treatment, miss appointments, and have large gaps in treatment. It is hard to make three chiropractic sessions a week, massage therapy, and physical therapy appointments with a full work schedule, parenting duties, and everything else. However, if you want to get better and help your case, you need to make all your appointments that your doctors believe that you need. If you don’t, you are sending the message that you are fully healed or not injured. Not being able to pay for your medical treatment out of pocket is not a good excuse that will work with the insurance company. A Seattle personal injury lawyer can find you coverage or ways to get the treatment that you need. A Seattle personal injury lawyer can never personally pay for your medical treatment, as this is illegal. However, they can sign letters of guarantees or liens with medical personnel such as doctors, chiropractors, physical therapists, massage therapists, etc. so that you can get the treatment that you need without a gap in treatment and then pay them back out of the settlement. Most medical providers will not allow you to do this without a Seattle car accident injury lawyer representing you and guaranteeing payment back to them. Additionally, if you have exhausted your PIP, you may have other coverage that can pay for your medical treatment such as medical insurance, other PIP coverage or something else. A Seattle personal injury lawyer can find this coverage if it is available to you. Medical insurance may initially deny paying for your treatment but a Seattle personal injury lawyer can make them start covering your treatment if you have the coverage. This can include paying for surgery, doctors bills, etc. It may not cover chiropractic or massage, however, as most medical insurance policies do not cover these types of treatment. If the defendant doesn’t pay for medical bills up front, who is going to pay now? In a Seattle car accident injury case, the defendant will not pay for your medical bills until you settle with them. You don’t want to settle with them until you have gone through 100% of your treatment and are back to normal. The question remains then, how do you pay for your medical treatment up front until you get your settlement? There are many ways to pay for your medical bills while you are waiting to settle with the insurance company for the person that caused the car accident. This includes PIP insurance, medical insurance, cash, and paying on a lien. You can pay for your medical treatment immediately if you have personal injury protection on your car insurance policy. This is a great insurance policy to have and should not be skipped over. Some people may think that their medical insurance will pay for their medical bills so they don’t need to pay extra for personal injury protection insurance. However, most medical insurance policies will not cover car accident injuries without a lawyer showing that there is no other way to pay for the medical treatment you need. Additionally, your medical insurance probably will not pay for chiropractic adjustments and massages, which are great to help her ripple heal faster from a car accident. The best thing about PIP is that you don’t need a referral for PIP to pay and they will cover just about every medical treatment procedure or treatment that you need from car accident related injuries. This includes ambulance bills, hospital, massage, doctors visits, chiropractors, acupuncture, physical therapy, surgery, X-rays, MRI’s, and more. PIP will even pay for your lost wages, baby sitting, child care, and landscaping or housekeeping if you can’t do it but used to before. Medical insurance will cover some bills such as hospital bills, physical therapy, ambulance bills. However, most medical insurance policies will not cover chiropractic or massage therapy. Additionally, they may be reluctant to cover any bills if they are related to a car accident and you don’t have an attorney. This is because they believe the defendant who caused the car accident will pay or other insurance is primary. However, if you can show you have exhausted your PIP insurance and have no other way to pay right now, so long as your policy covers the treatment normally, it will be covered. Getting medical treatment on a lien is available to most people who are injured in a car accident and have a lawyer representing them. This is because most medical providers are reluctant to provide treatment to people injured in car accidents with a promise to pay them back out of the settlement alone. Most will trust a lawyer to sign a lien and guarantee payment out of the settlement. This is a good alternative to paying out of pocket and not getting the treatment that you need. If you are injured in a car accident, you need a Seattle personal injury lawyer to represent you now. Consultations are free and car accident injury lawyers are paid out of the settlement. Therefore, everyone can afford a Seattle personal injury lawyer but you can’t afford not to have one against the insurance companies in a car accident injury case. When should you hire a Seattle personal injury lawyer? The best time to hire a Seattle personal injury lawyer for a car accident injury case is right after a car accident. Why hire a Seattle personal injury lawyer immediately after a car accident? The insurance company will not have an opportunity to pressure you into settling your case early for far less than you deserve. Additionally, the insurance company will not have an opportunity to put words in your mouth by unnecessarily leading questions in your recorded interview with them so they can use against you. Moreover, you will feel no pressure to settle so that you can freely get the medical treatment that you need to get 100% and not settling for anything less. Also, a Seattle personal injury lawyer can find ways to get you the medical treatment you need whether it be by your medical insurance, your auto insurance policy, or paying back the medical professionals out of the car accident settlement. The defendant insurance company will not pay for your medical treatment until after you settle with them which can make it difficult to get medical treatment because most providers will not allow treatment without a signed lien by an attorney in this way. Who should hire a Seattle personal lawyer for a car accident injury? EVERYONE. Studies have shown that those who hire a car accident injury lawyer to represent them against insurance agencies put double the money in their pocket than those that don’t have a lawyer representing them. 1.Going to Trial – People mistakenly believe that by hiring a Seattle personal injury lawyer that you are going to have to go to trial for your car accident injury case. While some times it is necessary to file a lawsuit for a car accident injury case, this is not the norm. Most Seattle car accident injury cases can be settled without filing a lawsuit. 2. Insurance not accepting liability – People mistakenly believe that you only need to hire a Seattle personal injury lawyer if the insurance company is not accepting liability. If the insurance company is not accepting liability for your case, this is a good time to hire a Seattle car accident injury lawyer but is not the only time. 3. They are not that hurt and only needed 3 months of chiropractic or massage – Contrary to some belief, needing any type of medical treatment for more than a few months are good car accident injury cases worth a decent amount of money to the car accident victim. If you have been injured in a Seattle area car accident, call a Seattle personal injury lawyer today for a free consultation. We are paid out of the settlement so everyone can afford a personal injury lawyer but you can’t afford not to have one against the insurance company. Why a chiropractor is a must for someone injured in a car accident? If you are injured in a car accident in Seattle, there are few better places to seek treatment than at a chiropractor, assuming you didn’t need to go to the hospital first. 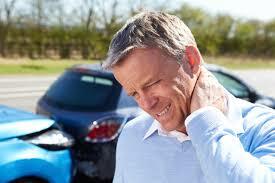 Car accident injuries have a tendency to primarily injure the spine and neck regions of a person, among other injuries. Of course you can injure other areas of your body in a car accident but almost all car accident will cause injury to the spine and neck as well. This is because seats and safety restraints in average cars do a good job of sitting you up right but do not fully restrain you into the seat during a jolting car accident. This is why you see people in Nascar who are securely restrained to the seat suffer far less injuries to themselves than the same type of impact to a normal car. Chiropractors primarily focus on treating injuries to the spine and neck to make sure that your spine and neck are primarily in line so your body can function as optimally as possible. 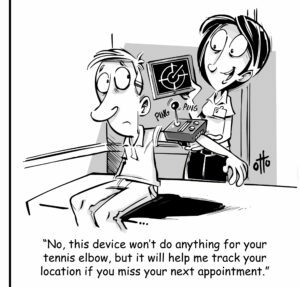 Chiropractors do this by a number of different ways including tiny corrective adjustments to the spine and neck region. Chiropractors are a great first stop for anyone injured in a car accident because they can take x-rays of your spine, do an exhaustive examination of your range of motions in your neck and back, refer you out for an MRI, and refer you out to a specialist if you need a consultation with an orthopaedic surgeon. In addition to spinal adjustments, many chiropractors create and instruct physical therapy routines for their patients. The injured person can then use on their own to strengthen key supportive muscles that may have been weakened in a car accident. Some chiropractic facilities also provide massage therapists, acupuncturists, and physical therapists on site so that you can receive all the treatment you need in a one stop shop versus running all over town to different appointments. This creates a wellness team that can really multiply the healing hands on a person that is injured in a car accident in order to get them better and back to their daily routine as quick as possible. From a car accident injury lawyer standpoint, I can tell you that from the clients of mine that have gone to a chiropractor versus the ones that do not, the clients who go to a chiropractor regularly get better much faster and fuller than those that do not. A Seattle personal injury lawyer can help you navigate the insurance coverage and non coverage in order to make sure you can get the chiropractic care you need. Even if you don’t have insurance, some chiropractors are willing to wait until you receive a settlement to get paid, but will require you to have a Seattle personal injury lawyer guarantee payment out of the settlement. Why you should not use the defendant’s claim number? This is one of the areas where a lot of people get confused. Many people mistakenly believe that the defendant’s insurance will cover their medical bills as they go so they should give the defendant’s claim number to their medical providers. This could not be further from the truth in a typical car accident and can lead to collection actions, not getting the treatment necessary, and early settlements. By giving a hospital, doctor, chiropractor, massage therapist, physical therapist, etc. the defendant’s claim number, the defendant insurance company only will pay these medical providers once you settle, which could be months or a year or two from the date of the car accident. If you give the defendant’s claim number to the hospital, ER, ambulance, doctor, chiropractor, massage therapist, or physical therapist, these medical providers will be notified that they will not be paid immediately, which these providers will most likely open up a collections action against you because they have not been paid within 30 days. This is because the defendant’s insurance company will not pay anyone until you settle with them and will not pay bills that you haven’t accrued yet. This means if you need more treatment but want the defendant’s insurance to pay right now, you will not be able to get your future medical treatment covered by the defendant’s insurance. The defendant’s insurance company will use this to their advantage in some situations and try to force you to settle early before you get the full medical treatment that you need. With mounting bills and the insurance company holding all the money saying you don’t need more treatment with a take it or leave it approach, it is very tempting to settle early without getting all the medical treatment that you need following a car accident injury case. The exception to the rule: If you are a passenger, bicyclist, or pedestrian hit by a another car, you can use their PIP insurance to cover your medical costs and they will be paid shortly thereafter. In a typical car accident where you are in a car hit by another driver, the other driver’s insurance will not give you PIP coverage, rather you must use your own or the driver of the car you were in and their PIP coverage. How do I pay for my medical bills then? What you should do is use your own personal injury protection plan under your car insurance policy or use your medical insurance to cover the medical bills. These will be primary over the defendant’s insurance which will then pay back your car insurance PIP plan or medical insurance. What if you don’t have medical insurance or a PIP policy under your car insurance? The good news is that your personal injury lawyer can work out with your medical providers an agreement to get paid out of the settlement and delay collection actions. Not all medical providers will agree to wait to be paid out of the settlement and may demand payment immediately, however, most are willing to work with you and your attorney on either a payment plan or complete deferment until the case is settled. If these facilities are not willing to do this, there are many medical providers that are willing to upon a signed lien with your attorney. Does the defendant’s insurance get off for free then? No, the defendant’s insurance company will compensate you for all medical bills that have been paid by your medical insurance and your attorney will then pay your insurance back in a process called subrogation. In most situations, your attorney will even be able to negotiate down how much is owed back to your insurance company for covering your medical bills giving you more money in your pocket. If you have any questions about your car accident injury case and this process, please contact us today for a free consultation. We are paid out of the settlement and do not charge hourly so anyone can afford to hire a Seattle personal injury lawyer but no one can afford not to hire one.